152 Comments	This post may contain affiliate links. 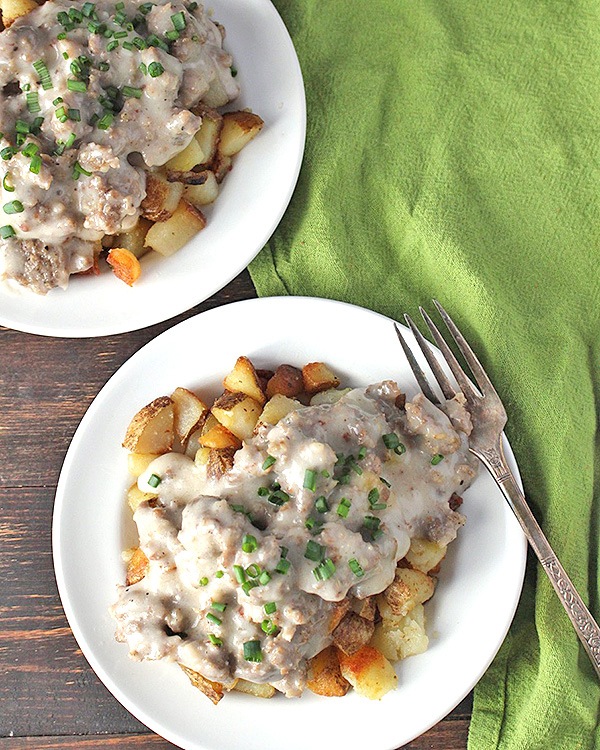 This Paleo Whole30 Sausage Gravy is so easy to make and packed with flavor. Creamy, thick, and so delicious! A classic made gluten free and dairy free and just as good! 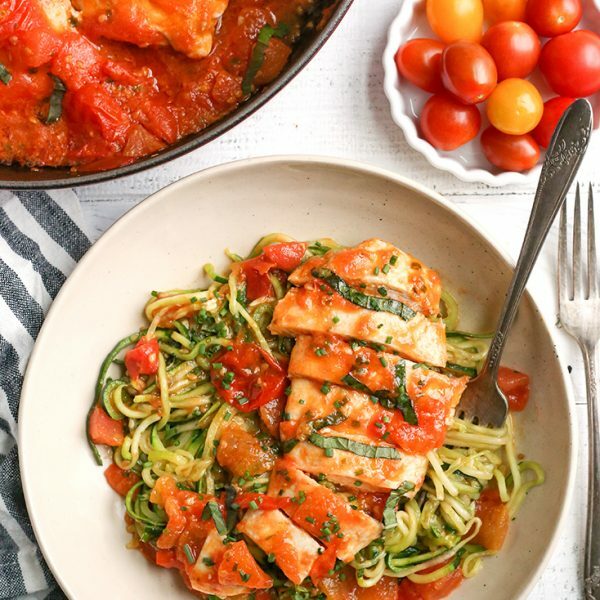 I’m super excited to share this recipe! It’s been in my brain for a long time and it’s finally good enough to share. 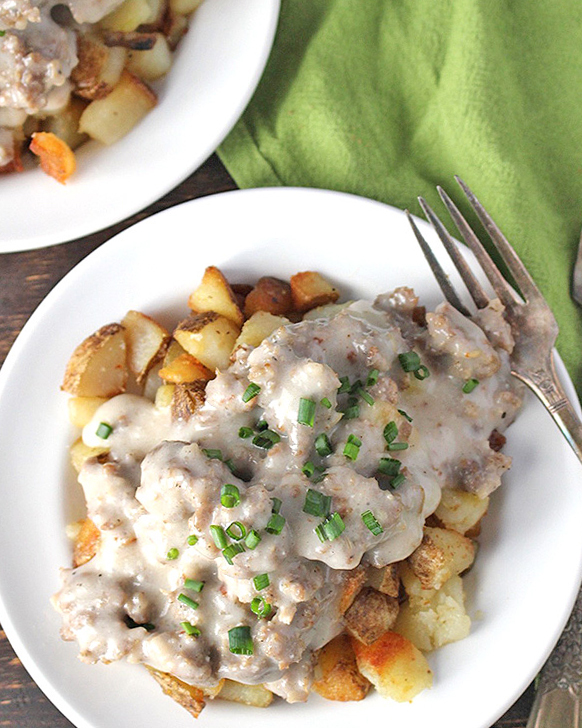 My dad taught me how to make sausage gravy when I was pretty young and it became a regular breakfast for us when I stayed with him on the weekends. Of course it contained lots of flour, milk and was served over canned biscuits. This version, on the other hand, is made gluten and dairy free and is just as delicious! A favorite I knew I wanted to makeover and I’m so pleased with the results! This took 3 times to get just right. I wanted it to be amazing and perfect and that’s what it is. It was too runny the first time, too clumpy the second time and I finally got it right the last time and it’s so delicious! The flavor is spot on to what I remember eating as a child and served over potatoes makes it fun and different than the usual biscuit. 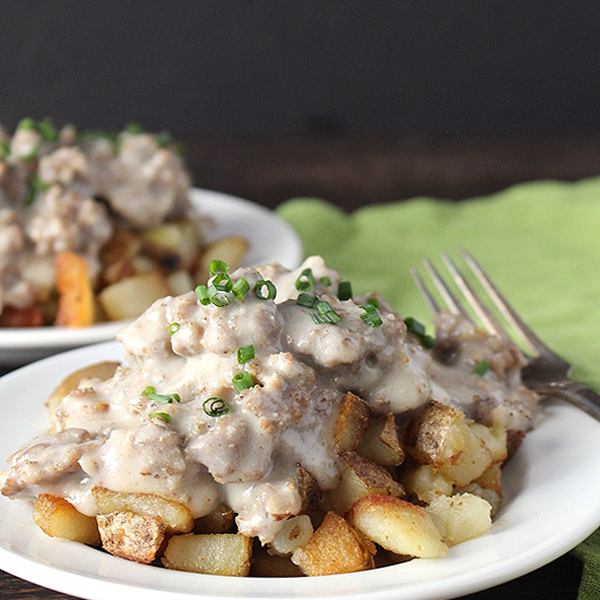 Potatoes are always a good idea, especially when they’re crispy and topped with sausage gravy! Yum! The fact that this is Whole30 seems almost too good to be true. It is pure comfort food! It’s a nice change from eggs and makes a great weekend breakfast. A note about the sausage- just make sure to read the label and make sure there is no added sugar or other questionable ingredients in there. Whole Foods carries a clean version or you can make your own. 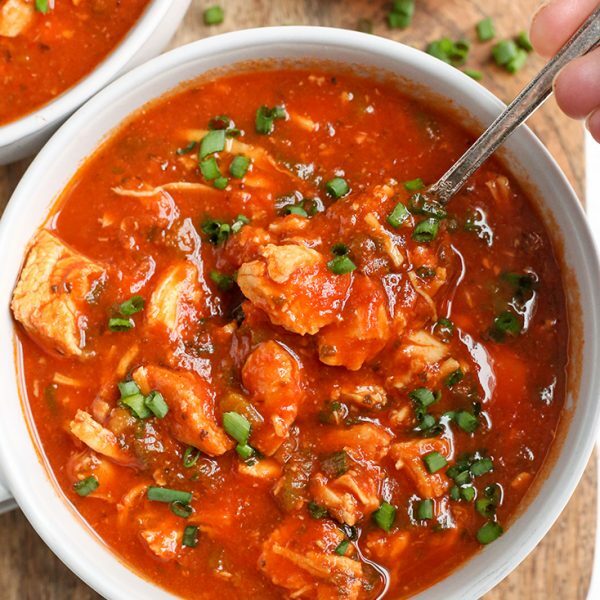 You will love, love, love this recipe! 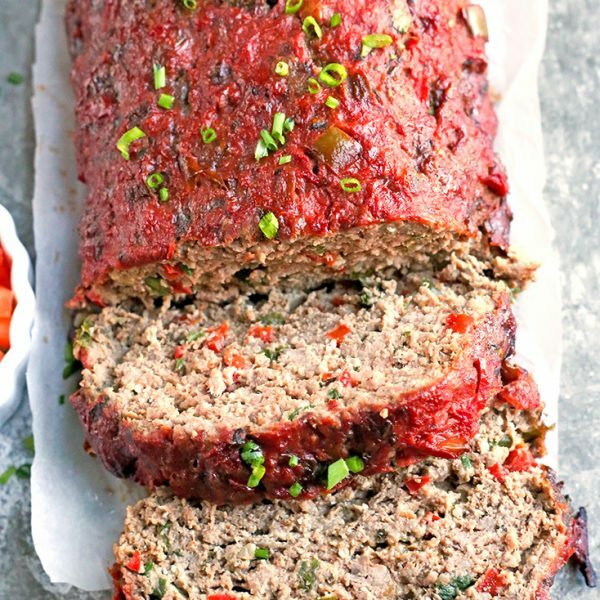 It’s filling, comforting, and tastes amazing! If you’re not doing a Whole30 then you can use the Easy Paleo Biscuits as the base. In a large skillet brown breakfast sausage over medium heat. Add the sage and fennel while it's cooking. Once it's cooked, transfer it to a plate or bowl. Add some fat to the pan if there isn't already any left from the sausage. You'll want about 3 tablespoons total. 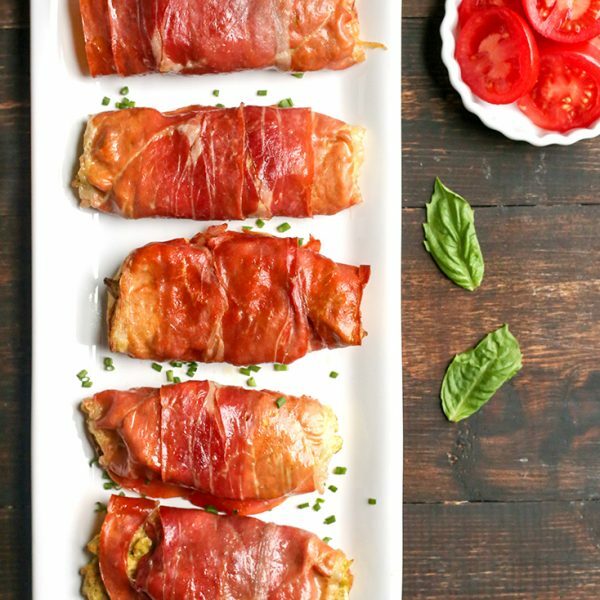 You can use coconut oil, ghee, bacon grease, or whatever your preferred fat is. Stir in the almond and tapioca flour and mix it well with the fat- still on medium heat. Stir in the milk and cook until sauce has thickened. Use a whisk if necessary. 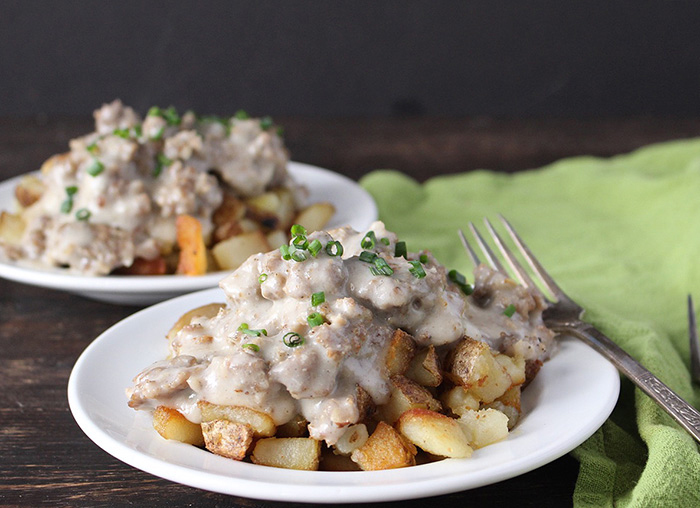 Mix the sausage back in and serve immediately over potatoes. *You can use 3 tablespoons cassava flour in place of the almond and tapioca flour for a low FODMAP version. Did you make this recipe?Tag me on Instagram at @RealFoodWithJessica or leave me a comment & rating below. Made this? Rate this recipe! I’m on day 3 of Whole30, my second round and my boyfriends first! He’s having issues with breakfast and this sounds amazing! Does it reheat okay? Thanks, Katie! It does reheat good. I’d suggest reheating it in a pan verse the microwave. Hope you try it! Where can I find sugar free breakfast sausage? Anyone have any luck? Can you sub coconut flour & coconut milk for the almond products? Hi Dannie- coconut flour won’t work because it’s dry and gritty, but cassava flour does work. And yes, coconut milk works. Enjoy! I’m still new to this type of lifestyle, when you say fat of your choice, what are you referring to? Hi Meagen- like ghee, coconut oil, avocado oil, bacon fat. All those would work. Enjoy! Thank you! I’m so excited to try this!!! !